Master Vision for Cuyuna State Recreation Area gets push forward with two bills the were recently introduced in the Minnesota Legislature to provide state investments into the area. 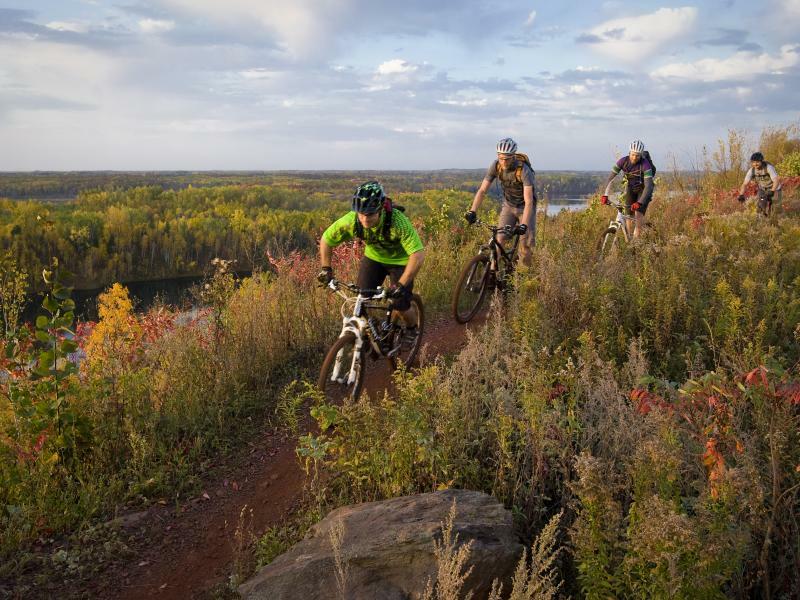 As one of the first purpose-designed and built trails for mountain biking in the region, Cuyuna has changed the paradigm for bicyclists in the Midwest. It is quickly gaining a reputation for one of the best places in the nation to experience mountain biking. This week Singletracks.com listed Cuyuna as one of the best ten trails in the nation for winter fat biking. In addition to that two bills were recently introduced in the Minnesota Legislature to provide state investments in the Cuyuna Country State Recreation Area (CCSRA) located just a short drive east of brainerd and Baxter Minnesota. The bills authored by Rep. Dale Lueck, (R-Aitkin) Rep. Josh Heintzmen (R-Nisswa) and Sen. Carrie Ruud (R-Breezy Point) along with a number of other key legislators, is the first step in securing necessary funding for the next phase of development of the Cuyuna Lakes Mountain Bike Trail system. SF701 and HF791 would provide $1 million out of the Parks and Trails Legacy Fund to develop Phase 1 of the Master Vision and will be considered for funding this year. SF700 and HF790 would provide $4.2 million in bonding for necessary acquisition and development of the remainder of the trails within the master vision and will be considered by the 2016 Legislature. The master vision takes the current trail system of 25 miles or one day of riding, and adds approximately 50 additional miles of trails, expanding the opportunity to three days of riding without repeating a trail for an experienced cyclist. It includes trails for families and all skill levels. It will provide valuable connections between Cuyuna area communities. The Cuyuna Lakes Recreation Area with it's scenic lakes and world class mountain biking is another reason that the Brainerd Lakes Area is known as Minnesota's premier vacation destination.